Linked data should be seen as a supplement to the DLHE survey, not the other way around – this is excellent news as over-reliance on linked data from tax and welfare databases will obscure key destinations of art and design graduates. The link between DLHE and HEI employment services is seen as important but there was almost a 50/50 split on the question of centralising the DLHE survey to an outsourced provider. It seems likely that HESA will move towards centralisation which is of concern as we believe it will impact response but also evacuate the expertise of HEI employment services in administering the survey. There was strong support for a single survey point with the strongest support for a 12-month survey point with 18 months as the runner-up – we believe the 12-month point will be good for art and design as it allows graduates time to settle into career paths or entrepreneurialism but still be reachable by employment services. CHEAD argued for a follow up survey point because this would better capture portfolio career development and the synthesis does recognise this issue, but a single, centralised survey seems more likely at this point to reduce the £8m+ cost nationally of the survey. In the section on alternative measures of success, emphasis on ‘soft’ measures such as Student WellBeing (SWB) was greeted with some scepticism on the complexity of reliable measurement and some providers do not engage with SWB in any case. Strong emphasis was placed on a skills-based framework whilst art and design HE would generally place a higher value on including SWB with a skills framework. It was recognised that any skills framework would also require careful design. There was support for ‘Social Capital gain’ measure which might be useful in measuring art and design HE outcomes but most likely this would more clearly benefit Russell Group. Net Promoter gained almost no traction, which can only be good news. 92% of respondents supported capturing information about student enterprise – this is crucial to art and design HE and HESA recognises that “[t]his is an area where linked data is unlikely to assist our understanding, as early-stage graduate entrepreneurs may not be represented (or fully represented) in either tax or welfare records, for a variety of legitimate and predictable reasons.” A clear terminology in this area is needed which graduates can understand. Responses indicated a high level of support for inclusion of information on work-based learning, with 86% of those who responded showing between moderate and very high support. There’s a clearly recognised need to update and expand SOC coding but it is generally accepted to be a useful classification system. HESA will now draft a model for a replacement New DLHE in consultation with the sector, we will keep our membership updated and participate in further consultation. 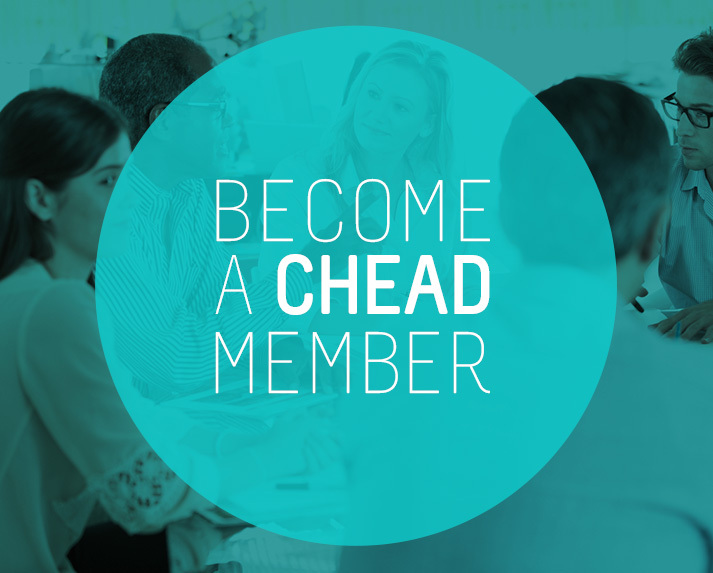 HESA will also be offering a workshop on DLHE and making better use of HEIDI data at the next CHEAD Membership and Networking Meeting, December 15 @ 10:30 am – 4:00 pm, Woburn House, 20-24 Tavistock Square, London, WC1H 9HQ . The CHEAD membership and networking meeting is themed on Data and Narrative. As a sector, art and design professionals tend to be rooted in narrative and multi-faceted expressive forms. How do we engage with a world shaped by machine data, algorithmic analysis and automated decision support? How can ‘big data’ inform design research? How do we evaluate our activities and engage with data in frameworks such as TEF and REF? Are there reductionist implications in over-reliance on metric approaches? How do we raise our game in combining and underpinning our rich narrative tradition with multi-critical approaches? How can art and design enrich data through narrativisation, visualisation, and the design of new forms of productivity, social engagement and accountability?